i wonder if its real because,wireless charging is gone,phone doesn't look like waterproof. mixa, 17 Mar 2015You're clearly a random Samsung fanboy. Take your empty bags and line up for the fail of the ... moreZ4... no choice but to use the burning SD810 to remain competitive. M9 is already waiting in line for fail. Z4 will follow thru. Samsung, lets wait and see. Savor, 17 Mar 2015Just what I expected. Same design but with another upgraded Qualcomm in there. Not expecting m... moreYou're clearly a random Samsung fanboy. wisewizard _87, 17 Mar 2015i want it 5.5"~!!!! =,(Consider people with small hand won't buy anything bigger than 5 inch... you want sony mobile out of bussines?! Just what I expected. Same design but with another upgraded Qualcomm in there. Not expecting much from the LG G4 either. Samsung Galaxy S6 edge is the best smartphone design of 2015. And a homegrown SoC that might NOT burn you. Samsung has got everyone beat this year with some different approach and choices. The others got blindsided because they didn't know how much different Samsung was going to change this year. They underestimated Samsung like many of us here including me. 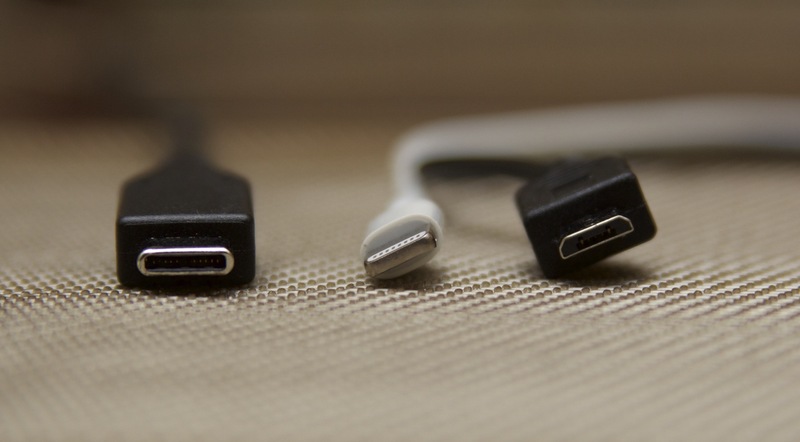 Anonymous, 17 Mar 2015It is no mystery it is a USB type C. I just don't understand why they kept the micro USB too.Yeah, I was thinking the same thing, but is USB-C big to be in a phone, or did they made a smaller USB-C connector for phones. AnonD-354090, 17 Mar 2015I'll give 500 euros for someone who can spot diferrences between z1, z2, z3 and z4. Come on So... moreThe difference are the frames of each xperia z. Now give me my 500 euros. This will be DOA if it uses the 810.
that hole next to micro usb slot, could it be for strap/lanyard eyelet hole? darkraver, 17 Mar 2015Beatiful...just beautiful... That other port is a mystery, hope it isnt a lanyard one only. A... morewhat I think is that it may be use for notification light. Hope it will have 4GB RAM DDR4! Z4 running the same SD810... it has to be waterproof. You need to put the phone into water to use. Else it will burn also. Anonymous, 17 Mar 2015It is no mystery it is a USB type C. I just don't understand why they kept the micro USB too.Its exactly like the lanyard eylet found in the z3. nano sim and microSD card would be able to be inside that small flap. Anonymous, 17 Mar 2015More beautiful than S6 ....In which way? Put Z4 next to Z, Z1, Z2 and Z3 and show me the difference. Everything is the same, even the UI icons. darkraver, 17 Mar 2015Beatiful...just beautiful... That other port is a mystery, hope it isnt a lanyard one only. A... moreIt is no mystery it is a USB type C. I just don't understand why they kept the micro USB too.